I am in the middle of powerful meetings here in Pennsylvania and so overwhelmed with the hunger I found in this State. I am writing to you in the midst of seeing His glory. I feel like a vineyard with grapes so ripe and sense the Lord is about to feed a nation with His goodness and mercy. Before I get so carried away, I first and foremost want to say Hi to all our dear partners and friends. In 2 Kings 6, a major famine was in the land. A women even cooked her boy. In 2 Kings 7, God’s prophet Elijah announced that in 24 hours God will supply us, and food will be available. You may ask; how could this be? This is a major manifestation of what God can do by releasing one word. In verse 6 of this chapter, we read these impressive words and I quote: “For the Lord had caused the Syrians to hear the noise of an army, chariots, and horses. God caused a noise that made a complete nation flee for their life. Your human mind cannot comprehend this. Needless to say, God did not only supply food to eat but he supplied horses, donkeys, silver and gold. No matter what your crisis entailed or your immediate challenges are, God has the ability to turn things around in 24 hours. The four leper men expected death as they realized they were at the end of their lives. I need to emphasize that God can take what looks like your end and make it the beginning of something new. You may not see any change right where you are, but soon and very soon, you may come across an abundance of divine provision and wonder how it has happened. The Lord caused the enemy to hear an army, chariots and horses that never existed. Never existed? Yes you are right, it was all noise. Noise? You are right again. God is so powerful that He can use noise to put a nation on flight. Nothing is impossible to our God. This is why we preach this incredible Gospel of Jesus Christ. This Gospel of Jesus is a power unto salvation. This Gospel is a person, and that person is Jesus Himself. Man’s understanding can never comprehend the abilities of this wonderful God we serve. Let us pursue Him like never before and allow a fresh fire to consume us. He is fire. When He works on our behalf, we will come across provision that will catch us by surprise. Can you only imagine? Imagine what the four lepers must have thought when they realized a nation just led without horses and donkeys. This is a WOW thing right here. God is a wow God, if I may use this term. I believe the Lord is ready to cause much to happen soon. I believe He is about to step into many lives of faithful believers at their lowest point of expectancy and show them He can do the impossible. You are too precious for Him to be left alone. You may feel like you are falling apart, such as the lepers in their physical bodies, but you are the one that will come back to your family and your loved ones telling them what you just saw. A Godly manifestation of His divine intervention with provision is about to come your way. You are destined for the surprise of your life. Hear the word of the Lord. I stand in awe of who he is. This Gospel is a power unto salvation. The Holy Spirit is also compared to a fire. We sometimes refer to the Fire of the Holy Spirit. A fresh fire is in the meetings. It has an immediate effect on people. It stirs the hearts of people and suddenly people start to flock to the altars. Let us nourish the preciousness of this Gospel. Let us walk with Him as I sense He is taking us into something spectacular that could touch the nations. This Gospel of Jesus Christ will conquer the whole world. That is not a wild guess but a sure reality. Join me and let us tell it to the nations and decree it from the rooftops. It is time! A precious lady waited for her daughter at the Boston Marathon. She heard a voice to go and get her daughter who will not finish the race. She left and was a few blocks away when the bomb exploded right where she stood. God saved her life and she realized it has something to do with the voice she just heard. A few weeks later she heard the same voice again, and He told her to come to our meetings in Agawam, Massachusetts. She is a Roman Catholic, and walked into the meeting feeling gloriously touched. In her own words she said: “I have never been in such a meeting and never felt such power”. Amazing how He led her away from the bombing area to the very feet of Jesus to be touched in our Massachusetts meetings. The Lord is stirring this part of America for something spectacular. People respond to the prompting of the Holy Spirit and come with no prescribed idea of what to expect. There are desperate and hungry people out there that will not question the power of God but will embrace it without any pretense. The most liberal people carry a deep rooted desire to see the glory of God manifested. This is just a reminder to cover this Alliance of pastors in your prayers. When you go to the website, click on the live discussion between Pastor David Thomas and myself. Read the mission statement and about all the core values. This will help you have a better understanding of this new endeavor to empower generations to expand His Kingdom. Waste no more time arguing what a good man should be. Be One. Be an example (pattern) for the believers, in speech, in conduct, in love, in faith and in purity. 1 Timothy 4:12 AMP. Remember to come and say hello when I am at your church. It will be my joy to pray over you and thank the Lord for you in such a personal way. Until next month. GOOD NEWS TO THE NATIONS, INC.
Our lives have forever changed since we met Jesus. The life we now live on earth has a new meaning to all of us as we now have eternal perspective. Being alive is a joy, but it has a divine purpose. Let us pursue that more than ever. Our deepest desires are to please Him. Like the Psalmist says, we thirst after Him and our flesh long for Him. Our agenda is His agenda, and we have no desire to do anything outside of His plan. His heart is what we are after. With our heart’s longing for Him, we pursue Him in obedience. Elijah gave Ahab a word, and God instructed Elijah to go and hide in him. In 1 Kings 17:6, we find Elijah being fed by ravens. This is an amazing thing happening here. Elijah went to a place to hide from Ahab and only God knew where he was. God could not trust any man to protect His prophet as He found a raven. There are times we need to be obedient to God to the point that we cannot even allow man to be part of the journey. Do not allow that to concern you for God still has a way to find you. The ravens brought him bread and meat twice a day. Your provision is a priority to God. Your well-being is important to God. Obedience to God is a powerful thing. Obedience to God will secure your next meal. They found him. You choose where you would like to hide, and He will find you. Sometimes we are so busy running after so many things if life without understanding the provision that comes from obedience. Elijah sat at the brook Cherith. He found himself a place of water. Water, bread and meat in the completion of what he needed. Water was available, and the rest came from God. Dear friend, let us run this race with what we have knowing the rest will come from Him. The rest was the bread and meat. The completion of your needs is a God thing. The completion is a sure thing. Do not expect a man to provide. God used ravens which speak of His ability to provide from a source unknown to man. Yes sir, God even has the ability to give ravens the understanding to differentiate between bread and meat. The detailed needs you may have can be taken care of by nature where man has never entered. Man does not have this kind of control or understanding of nature. God can open a door for your provision that man has never thought of. Man can influence man, but how will man ever stop the birds of heaven flying over their heads? Your next provision could come from a direction man has never thought of and therefore, your provision is now more secure than ever before. Rest at the well of His presence, and let Him provide your next meal setting you up for a future secure in Jesus. Your obedience is your greatest protection, and your provision is on its way. During the last twelve years, several thousand churches have been planted. 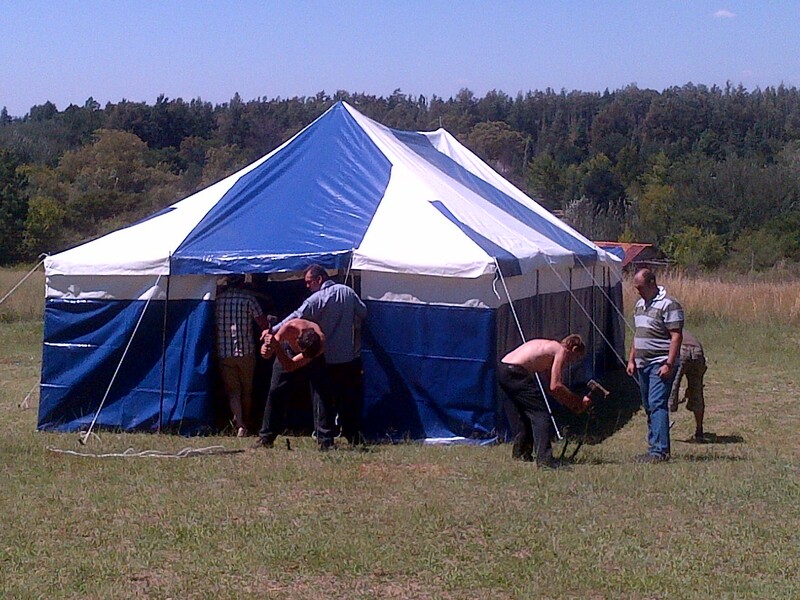 We are now planning for another twenty tents for churches. I spoke with a dear missionary friend yesterday, and he inspired me to pray over South Sudan. The immediate goal is to plant 500 churches in the next three years. This dear Father of the faith wants to see this happen as he senses it can be done as a last effort to leave a legacy taking his age in consideration. I felt the kiss of Jesus on this conversation. We need churches where the enemy tries and presents an alternative option. 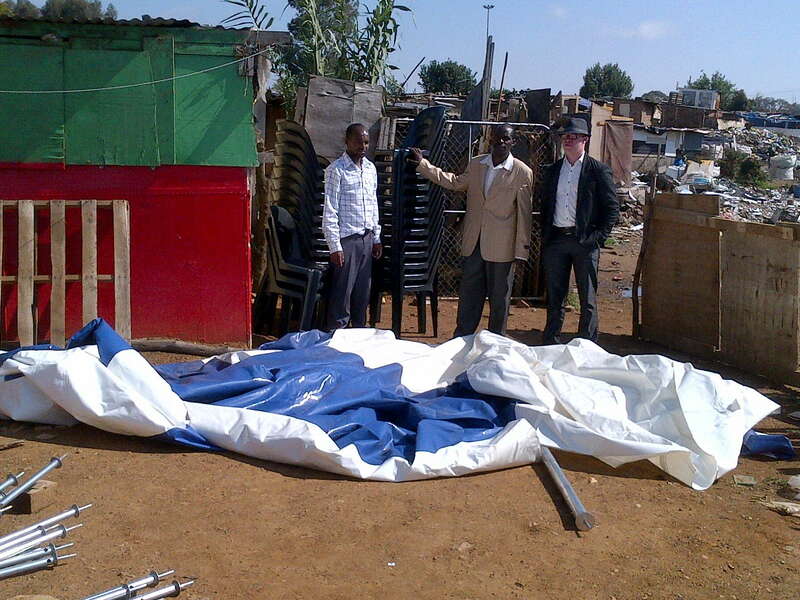 We have tents in gangster ridden areas, but these churches will be more than just a tent. For some, this sounds impossible. Nothing is impossible. Can you imagine if we can leave another 500 churches behind as a legacy? This will influence South Sudan for generations to come. Let’s go deep into dark places and light it up with the light of this gospel. It must be done, and it can be done. Pray without ceasing for prayer will give us the breakthrough. The Spirit of Prayer needs to consume the leaders in His church. Our Back to the Upper Room gatherings we had in the past caused a stirring in many circles. God has a desire to restore America to what He intended this great nation to be, and it will happen. We live in a so called “New America” that replaced the old. A shift took place in the last 10 years, and all the signs are there that the USA is becoming an extremely liberal nation. Only the Spirit of Prayer can change this. I am working with Pastors from Montana to establish an Upper Room Conference for the first part of 2014. Pray with us as we still feel the stirring to light this Fire of Prayer as God opens the doors. Every now and then Pastors ask about this, and that is a good sign. Your prayer will help cause a fresh move of prayer to come forth. We are in the process to deliver hundreds of Bibles in the North of South Africa that will go to many Pastors and their congregations. 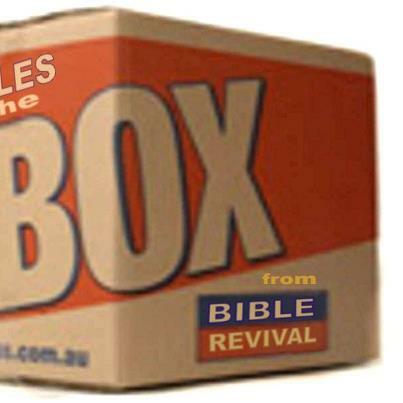 These Bibles go to specific tent churches. Pray that God’s Word will become like a fire that will burn away the chaff and bring hope to people. The Word of God in its written format is crucial to these people. Thank you for your help in putting God’s Word into the hands of desperate people. I will visit many of these specific Pastors in September and be involved with more Bible distributions. We have the best message man can ever hope for. The wealth and health of having a father cannot be emphasized more. Living in this world, and the choices this world offers, is simply the second best. Understanding the favor and love of our Heavenly Father is crucial. Living in the zone of His Favor is something to experience. The incredible love and goodness of our heavenly Father will be revealed on this CD. At times, it is beyond our understanding that He can love humanity so much that He is willing to partner with us for eternity. 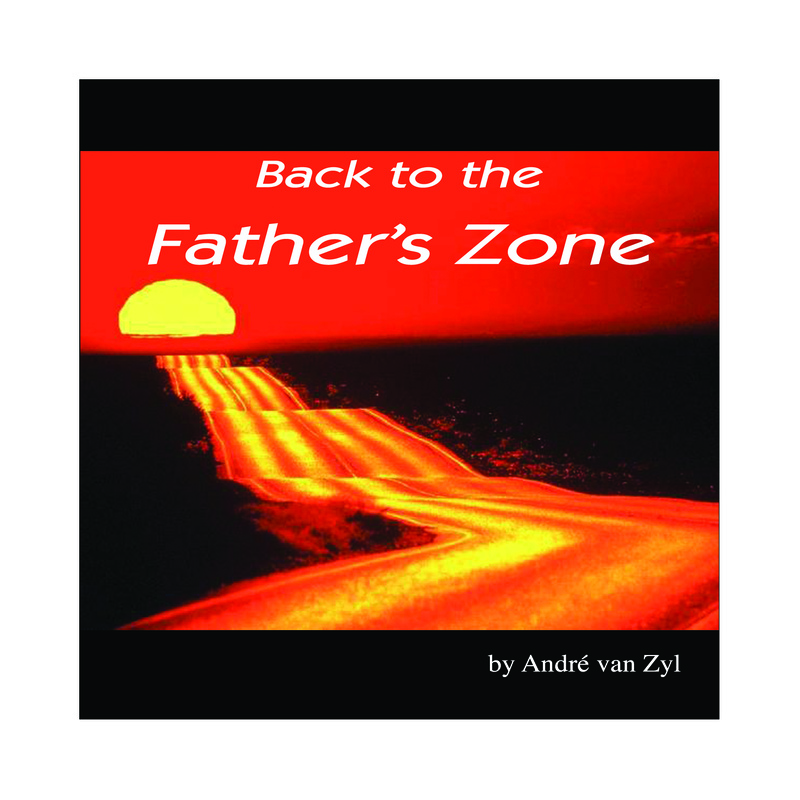 Coming into the so called “Zone of the Father” will catch you by total surprise. It happened with Ruth. She found blessings literally dropped on purpose just for her to pick up. Your Heavenly Father’s provision has already been put in place just for your embrace. Boaz saw Ruth on his land and immediately provided for her. God loves to provide just by noticing you coming His way. One move towards His Zone, and He will work on your behalf. This CD is a must hear. Perseverance is a great element of success; it you only knock long enough and loud enough at the gate you are sure to wake up somebody. I bless your going out and your coming in. I speak life over you, your family, your jobs and business you may have. I encourage you to enjoy another day of His Goodness. I look so forward to be in touch again next month. Thank you my dear friend for your faithfulness in giving. The greater of what God has in store for all of us is still ahead as we now enter destiny times. Jesus is Lord, and together we will be victorious. I call you friend as somehow, somewhere in a meeting we did connect. My mind is doing a world tour as I ponder on the goodness of the Lord where He has taken us and what is to come. I notice changes and challenges as I travel and realize only Jesus can accomplish through us what He ordained to be. I am deeply aware that, unless He strengthens us, we will not accomplish that goal. With that in mind, my heart is going out towards you. Who are you? You are one of those very dear, precious and caring people who felt a connection with us when we met. You may not realize it, but it is simply not possible to get this mission completed without someone like you. I honor you greatly and wish I could have a sit down and do an hour of personal fellowship with you as you are so faithful in your giving. Divine connections are a reality. Can I be honest with you? A divine connection is not always meeting someone of importance. A divine connection for Elijah was a brook of safety hiding from his enemy and ravens feeding him bread and meat. God then sent him to a widow and she fed him bread. His divine connection this time is a widow. The days are long gone by that divine connections are only when the high and mighty comes by. I feel a constant draw to people that are forgotten. These forgotten, pushed aside people, need the Lord and He will be their divine connection or He will send us to be a divine connection for them when they are in need. I want every dear partner to know that your friendship and support is a divine intervention of God to us and my prayer is that the Lord will help me to always treat you with such respect for who you are. Help us, Oh Lord, to see the value of people the way you see them. In John chapter 5 verse 4, a man laid at the pool of Bethesda for 38 years. When the angel stirred the water for healing, man failed to get him in the water on time. Then Jesus showed up at the pool. One moment connecting with Jesus can undo 38 years of frustration. His frustration was that he has always been too late for the healing moment. Needless to say, a Jesus moment changed it all when Jesus commanded him to rise up, take his bed, and walk. Together we are divinely connected to be the extended hand to those who need us to tell them about Jesus. Let’s do it. This is what we do. Going, going, going. The stream of Living water keeps coming, and I am amazed at how the gifts of the Holy Spirit flow from one church to another. The road is truly our home; not always easy but that is what it is. Having over 100 flights this year makes you think. I find myself tired at times to the point of wanting to take a break but then His strength comes over me and there I go again. God is doing amazing things on the road. Abraham did not know but did it by faith. I am going, but seeing the Glory of our Father on the road. Again, it is your love and support seed what makes me keep going all the time. Thank you my dear friend. This great nation has opened up to us and is hungry for the Gospel. We have leaders in the church that influence the government as I speak. We are busy bringing church leaders together to start the planning process for a crusade as well as other needs to be addressed. They speak Swahili as well as English. A very dear Pastor friend just mailed me a detailed letter concerning the training needs of students in Kenya. There are approximately 8,000 students at this very moment. The needs concerning their training are a mammoth task. I will not even try to give you the detailed list of needs. If we can equip these young leaders, we can raise an army that will surely bring in the harvest in Kenya. 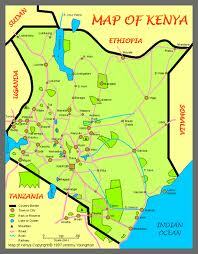 This is the largest country on the continent of Africa and wide open for the Gospel. Pentecost was brought into this country by the late Adini Abala. He met Jesus as His savior in the mid-sixties under the ministry of T L Osborne. His wife, Heleen Abala, is now the head of the church, and the doors are wide open. The city’s capitol is Kinshasa with a population of 12 million people. We are planning a crusade in Kinshasa, and thousands of leaders could be involved. The Lord has provided very good interpreters as the local language is French. Kenya and the Congo are a massive task ahead not only for crusades but also for adopting hundreds if not thousands of needy African pastors for training and equipping to bring in the harvest of souls. Pray that God will provide us with all the needs we may need as well as the wisdom how to go about these open doors. These two pastors will visit Kenya and the Congo in July this year on my behalf to work with leaders in preparation for our planned crusades as well as how to train leaders and bring them into our Global Legacy family of world leaders. This mission is an ongoing one. The church of Jesus can be found in modern buildings in first world countries but in other places, they meet under a tree. The Holy Spirit has no preference to what your location looks like. Yes, a simple tent that we may overlook in our world becomes the place where the believers meet to worship the King. Let us not lose touch with reality. Let us not become so prideful in what we have and look down on those who are lost and poor. Help us to help more leaders to at least invite their poor congregation to a place of worship in the middle of nowhere. Some of my dear missionary friends putting up another tent. Inspirational! Islam has their eyes on Africa. Many churches have been burned down. The good news is that Africa has become the very place where Christianity is growing the fastest. Let us win Africa for the Lord before Islam can offer them a counterfeit. Jesus is the conqueror of all nations. I am scheduled to visit this desert land for one month. Thank you for your prayers. 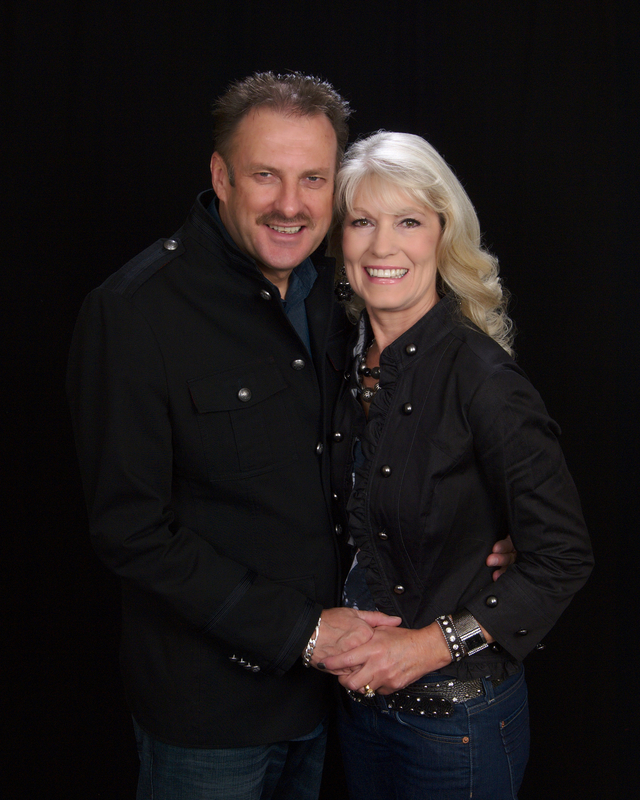 LEGACY – A GLOBAL KINGDOM ALLIANCE – THE LAUNCH CONFERENCE MAY 22 – MAY 24, 2013. 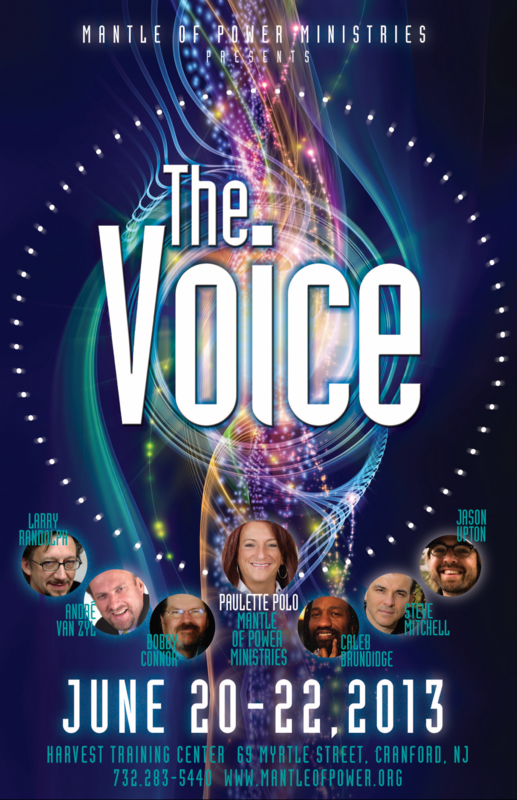 The venue for this conference will be Victory Christian Center, Youngstown, Ohio; http://theresaplaceforyou.com. This is the first official conference of Legacy. This is a newly born Global Network for pastors. You may read much more about this on the new web site that should be available within a month. Web address will be www.LegacyLLL.tv. It is time. God used the three hundred men of Gideon to bring victory to Israel. Join us in our pursuit of Jesus, and let us allow Him to make us as the three hundred men of Gideon who has a “different” spirit. Pastor David L Thomas and I will use the Thursday morning session to explain and share the vision on Legacy. I invite pastors and younger generation leaders to join us the morning of May 23 and join hands in taking the land. Let us get our feet in the water and bring thousands into their destiny and Promised Land of ministry. The web site www.LegacyLLL.tv will soon be available for registration. Our guest speakers are Bishop Joseph Garlington and Robert Stearns. Make sure you join me in this great “Launch Conference” and please feel free to come over to me and say hello. Make sure you mention that you are a partner as I would love to pray for you. Pastor’s David and Andre will do an introduction to Legacy as a Global Kingdom Alliance the Thursday morning. What and who is Legacy? LEGACY is A Global Kingdom Alliance that exists to encourage authentic generational relationships through a culture of honor, empowering and releasing healthy servant leadership through gift-oriented ministry and Spirit-led living. Life has a sound. Elijah, God’s prophet, announced rain based on sound. No one else heard it. Why? This sound existed only in heaven when he announced it. Your landscape may look like a disaster and drought may have destroyed your future, but the sound of your breakthrough already exists in heaven. Can you hear it? Elijah told Ahab to go eat and drink for abundance of rain is coming. Abundance? Yes, even the size and measure of your so desperately needed blessing can be heard in heaven. Once this exists, it will come. If we can only hear what already exist in heaven, we should change our attitude concerning our daily challenges. Your breakthrough, healing, provision or blessing is a fact; as it already makes a sound that will soon manifest in your everyday life. Watch the sky, for the first sign of your provision is about to become evident. This is a must get CD. It is my great joy to call you friend. Yes, we are friends for He has made us that. I am so overwhelmed with pure joy just knowing He is making such a difference in the meetings. People leave the meetings in exuberant joy knowing He is faithful in giving them back their lives. The power of God has been so strong lately; His prophetic word has been razor sharp as I have seen major deliverances. Many have been set free. Needless to say that through His Spirit God caught many by surprise. The eye of His Spirit is super accurate, and He sets free in split seconds what man can never get done in many hours of counseling. He is mighty strong, and His love is like a fire that consumes the hearts of people. There is no person that loves people as passionate as Jesus does. In John 11:38, Jesus came to the tomb of Lazarus. The Bible says He was groaning in the spirit. The word groaning tells us Jesus had deep feelings of anger when He heard of the death of Lazarus. I love this. Jesus had deep feelings of anger when He heard about the death of Lazarus. What a revelation to know He cares so deeply for us. This is such good news to know. Jesus really cares when things go wrong in our lives. Yes, Jesus came to the tomb and asked the people to remove the stone they had put in front of the tomb. Jesus was so stirred that He asked for the stone to be removed. Yes, Jesus is about to reverse what the devil has put in motion. This is powerful. Who can do such things? Who can arrive four days late at a tomb and reverse death? That person is Jesus. Jesus has enough deep feelings towards your losses that He can reverse the curse. I love this. You may say, like Martha did in John 11:39, if He had been here He could have and would have been alive. No, you are dead wrong. Jesus loves you so deeply and is in Holy anger for what the enemy has done to you. Jesus had deep feelings of anger towards the evil works of Satan. When we realize how He feels towards us, we can relax knowing He is about to reverse the curse. He can bring back the dead even four days into the grave. At day number four, the flesh has already started to fall off the bones. It does not matter how far the process of decay has gone, Jesus can reverse it. Dear partner, we need to believe again in the impossible. Let us not make peace with our losses. Let us not settle for defeat. Let us not allow the landscape of our impossibilities dictate us. Jesus is Lord over death, and that settles it. I pray that these words will encourage you, my dear friend, and you will go back in your past and release His power. 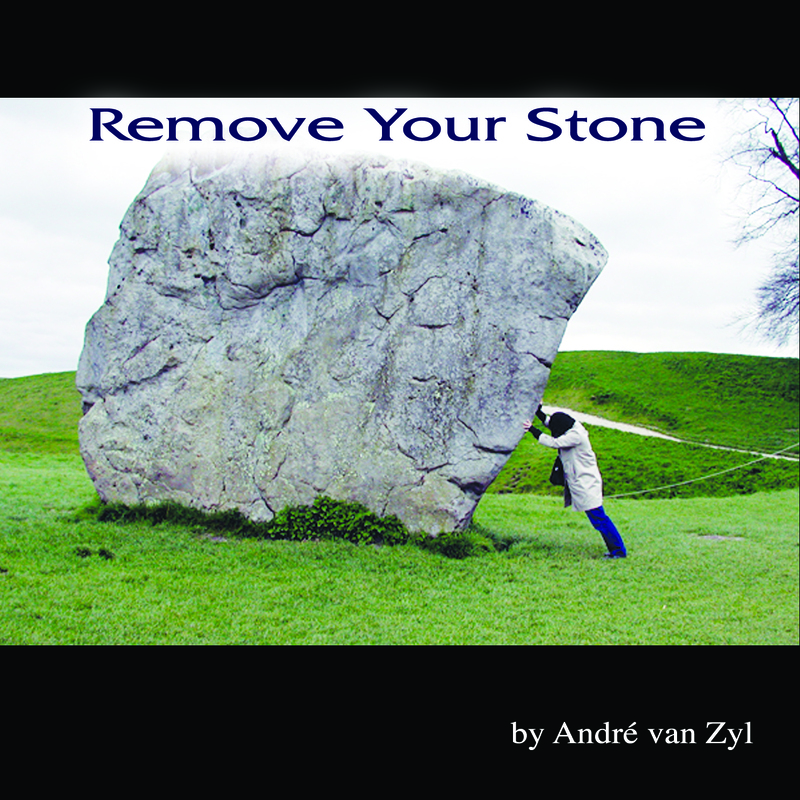 Remove stones you have put in place. This was the one thing He desired man to do all by himself. He did not remove it Himself. He demanded that it be removed. Stones at the grave speak of finality. Stones are the seal of man that says, I cannot do anything about this and have made peace with my losses. Remove all stones and allow Him to speak to your losses and bring forth a reverse for the better. There are so many things in life we have put in place because we simply had no other answer to the problem. Jesus is willing to reverse the curse if we are willing to remove our stones of unbelief. 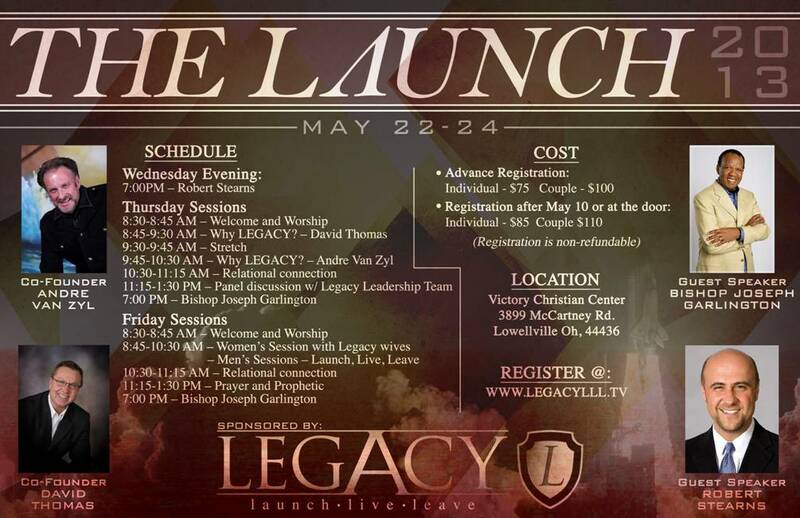 “THE LAUNCH” LEGACY CONFERENCE – MAY 22 – MAY 24, 2013. This conference will be called “The Launch” as it is the first official conference under this name. It promises to be a time of refreshing, vision casting and impartation. Some of the guest speakers are Bishop Joseph Garlington and Robert Stearns. 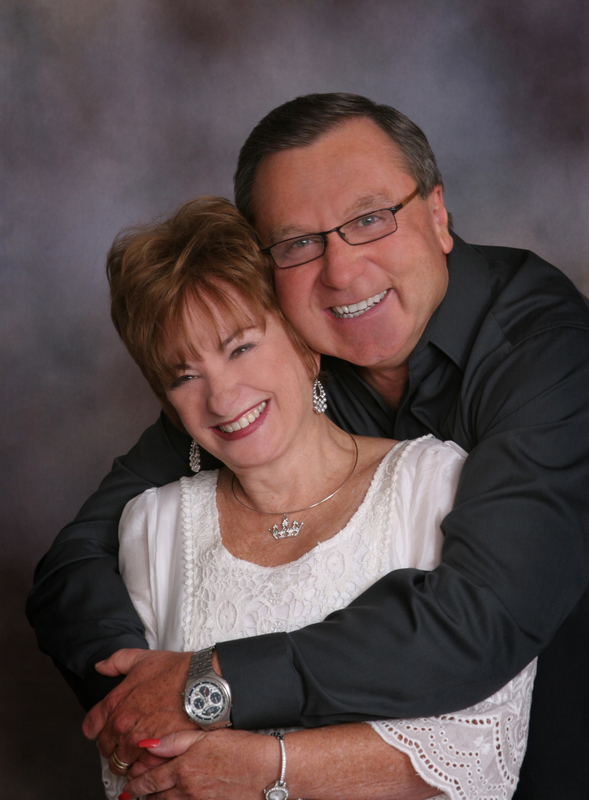 Pastor David Thomas and I will also use two sessions Thursday morning to announce why Legacy will exist. Special time is set apart to minister women. This info, as well as access to registration, will all be available on the new web site soon. Watch out for your Internet news to hear more about “The Launch”. Let us never stop doing this. Every church we neglect to plant is a vacancy for Islam to come in and build a Mosque. This has become a challenge in Africa. Many Christians pay with their lives while I am writing this letter to you. Many churches in Central Africa have been burned down. Friends, this is a reality. Now is the time to expand our borders quickly as possible. Africa is officially now the continent where the church grows the fastest. You probably hear the news that China has recently cracked down on home churches. It is my understanding that many died in this process. Let us not take our freedom for granted. The same spirit that would like to kill the church in third world nations is right here in the USA. There are those who would love to quiet down the voice of the church. Let us plant more, expand more and shout it from the rooftops that Jesus is Lord as long as we have a breath in our lungs. Thank you for your unending love for this Gospel of Jesus to be spread to the ends of the earth. It is with great gratitude towards the Lord that we can report as follows regarding our recent evangelistic visit to Kenya. Pastor Frans Human and I arrived on the 18th of February 2013 at Jomo Kenyatta International Airport Nairobi Kenya, where we met with Bishop Benard Oduori of Ministerial Internal Fellowship of Africa (MIFA) a registered Church with 709 congregations and more than 17950 members, in Kenya, Uganda and Tanzania. Whilst we were the guests of this Ministry, we met with various Pastors, Leaders and Board Members. We also had the privilege of ministering in various regions in and around Kenya, where numerous salvations, healing and deliverances took place through the Power of the Holy Spirit, all the glory and honor to God. When we met with the Pastors, Leaders and Board Members we explicitly told them we are the representatives of Pastor Andre van Zyl from America, and we see our visit as a long term spiritual investment in Africa. They were very excited and welcomed our future plans in this beautiful country. During the last service we had, in a town called Busia, Western Kenya, Bishop Oduori told the Church that we (myself and Pastor Human) were unanimously appointed by the leadership and board members as respectively President and First Chancellor of MIFA, Africa. 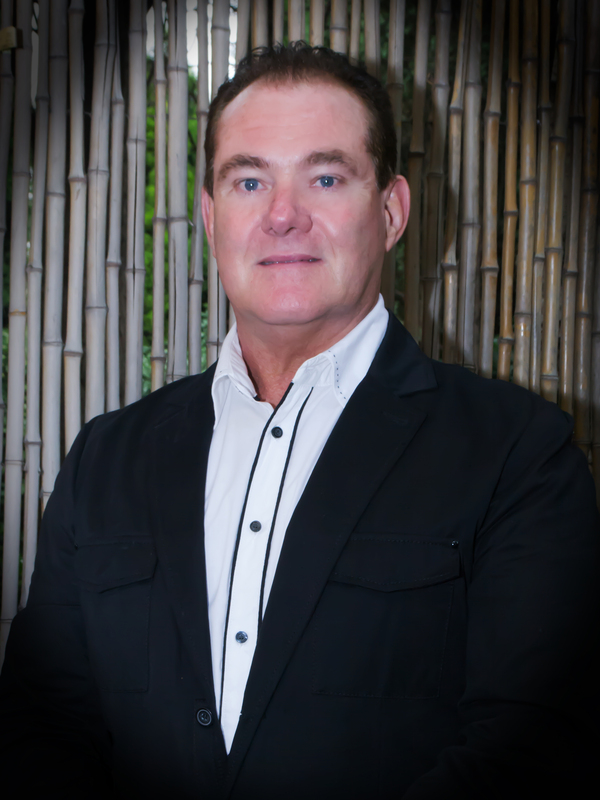 The leadership of MIFA requested us to arrange a leadership conference and crusade during August 2013 in central Nairobi with the main speaker, Pastor Andre van Zyl. 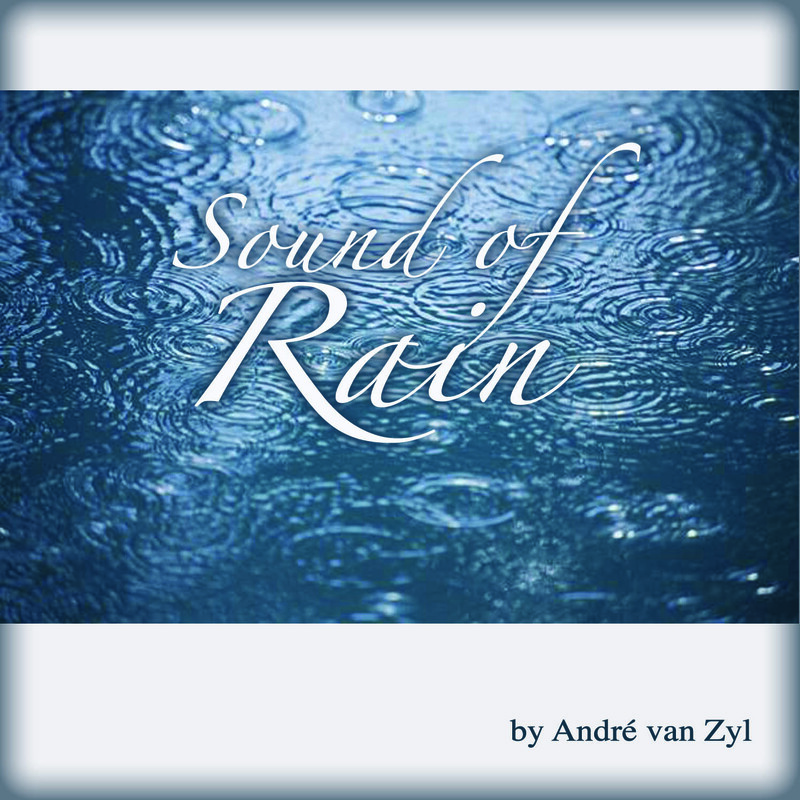 This will only be finalized once we have confirmed with Pastor Andre van Zyl. Our scheduled visit to the Prime Minister did not materialized due to the forthcoming elections in Kenya on the 4th of March 2013. We continue praying for the peace of Kenya and especially for the important role the Church plays in the governing of this great Christian Country in Central Africa. The secret of success is to be like a duck – smooth and unruffled on the top, but paddling furiously underneath. 1 Corinthians 15:10 But by the Grace of God I am what I am, and His Grace toward me was not in vain; but I labored more abundantly than they all, yet not I, but the Grace of God which was with me. A man never discloses his own character so clearly as when he describes another’s. Matthew 12:35 A good man out of the good treasure of his heart brings forth good things, and an evil man out of the evil treasure brings forth evil things. Have you given up on a challenge? Have you made peace with things that cannot be reversed? You may be wrong. Lazarus died, and when Jesus heard that, He was groaning. Groaning speaks of deep feelings with anger. Yes that’s it. Jesus had some deep angry feelings towards the death of Lazarus. He asked for the stone to be removed. The stone is the sign that man gave up. Martha argued that he has been dead for four days. That could not stop Jesus. NOTHING will stop Jesus from what you gave up upon- Nothing. Remove the stone of your negative confession and let the Super Natural kick in. It is about time that someone gets angry at what the devil has done. This CD is a must get CD. Make sure you share this with your friends. GOOD NEWS TO THE NATIONS INC.
Special greetings to you. Yes, you are so special. I am constantly amazed at who our Lord Jesus is and how He orchestrates our lives even when we think He is absent. Let me encourage you right at the beginning of this letter. God is not absent, nor is He undercover. He is and will always be obvious in all we do if we can only open our eyes. I feel such a stirring to encourage and prepare the way for all to understand that God is ready to perform His promises. Every year has four natural seasons, but there are also spiritual seasons in the Lord. We need to focus on that. This is what The Word teaches us. His thoughts are higher than ours as the heavens are higher than the earth. 2012 was the 12th year of us residing in the USA and traveling into the nations. Yes, it was a year in which I had to use the faith He gave me to the utmost, but He still has been faithful. In my heart, I always had that one outstanding awareness that there is more to explore. I almost made peace that what I accomplished was it, and I needed not ask for more. You may feel that way and still, God has a blooming season ahead for you. Time is what we use to structure our lives. We set times and cut off dates for all we do as it helps us work in an ordained and structured manner. We know how important it could be to be at a certain place at a certain time as that time could be a significant moment in your life. God’s timing is also something to keep in mind. He loves to work on a clock that He calls “suddenly”, and we do not always understand that. When a suddenly comes it is always unexpected as that is determined by God. A sure thing to observe is His promise for the Globe is at a pivotal moment where we can expect something wonderful from heaven. 2012 was a year that I was fortunate to be part of major developments concerning Apostolic leadership and sometimes felt God is really asking too much as I felt stretched to the point of feeling vulnerable. Feeling vulnerable is where He comes in. Abraham, on his way to the promise God gave him, felt foreign at times. This is where you and I could be touching the impossible. Needless to say, 2012 was a year of which I can certainly say that His promises came into full bloom. There are many moments and time slots in our lives that we can determine a God moment. I remember about three years ago how I allowed my spirit and mind to capture His heart and how I observed the church world as a large platform. I sensed His heartbeat and picked up on what is crucial to Him. In that moment, I felt to do something, and that was when God told me the following: “Do not do anything; for there is too much still in my way and that need to go before I can move”. God sometimes waits for us to disappear from the scene and then He comes in and does the impossible in one so called ‘suddenly” that we could not get done in years. I love it when God comes in when the time is in full bloom. He does the extraordinary without man’s help after man tried for years to fabricate a God thing when it was just not the time. I learned something. There are times that we can fabricate something and call it GOD. It may impress some, but it is not a heaven kissed event. When a Kairo’s, God moment comes it carries all the trademarks of a divine intervention on it. You and I may operate in the perfect Will of God for years and then suddenly in the middle of being in His Will, something clicks and God gives you a God-Kissed moment. It is this moment that we all wait for as we all so desperately want only His 100% approval upon our lives. I most probably sound very prophetic in my writing but that is what I sense in my heart. We are right there to see His Glory manifested as never before. The time is in full bloom. Dreaming is not really you. God made the earth and the fullness thereof. God has a plan and He will fulfill that plan through human beings such as us. Joseph had several dreams, and he became very unpopular in the eyes of his brothers for this dream. The truth is, God will use Joseph, but it is all about what God Himself wants to see happen. It was God dreaming through Joseph. Joseph went through much trouble and turmoil as he had to go via a detour road to accomplish this dream. When he landed up in the pit and then Potiphar’s house and then the prison, he probably had many questions. Yes, Joseph was on track and in the perfect Will of God. Still; it remained a challenge. The Kairo’s moment was on its way for Joseph. Remember that it was Pharaoh who saw the gift in Joseph and appointed him over the land of Egypt. Your Kairo’s moment when God will give you the greatest promotion ever could be fulfilled in an extreme earthly place. Never underestimate God’s ability to perform your miracle in the most obscure places. Joseph, now being appointed second in charge of Egypt, was major. God just brought the dream Joseph had into full bloom. The arrival of the perfect blossom season of God’s promise took many years. Now Joseph lives in the full manifestation of the promise. Living in this season of your life is important. Remember that it is still not your dream, but His. Many times, when God fulfills our dreams, we have the tendency to become proud and puffed up to a point that others find it difficult to communicate with us. Joseph did the opposite. He was in tears when he saw his brothers and immediately sent wagons to bring Jacob his father where he was. His treated his own brothers as royalty. I present a statement that was posted recently on face book as it fit right in here. When the Joseph journey in your own life is completed and the dream in full bloom, it will benefit those that even resist it such as the brothers who threw Joseph in the pit. The TIME IS IN FULL BLOOM for many Joseph dreams worldwide to be fulfilled and millions, whether they understood it or not, will benefit. It is never about being recognized but to go ahead, walk it out and let THE BENEFITS OF YOUR REIGN IN FOREIGN LAND SUCH AS JOSEPH, BLESS OTHERS. Others should feel His Divine favor upon their lives because of your walk in obedience. Notice the last words of the above statement: “Others should feel His Divine favor upon their lives because of your walk in obedience”. Help us Jesus that we always reflect you and you alone. We are living in great and exciting times. Africa is exploding as the harvest comes in daily. This is a season of many Joseph dreams worldwide to be fulfilled. Yes, that dream in your own heart is about to be fulfilled. Remember the promise is in full bloom. The fragrance of His goodness is about to be released over your family. I love you dearly and pray and release this over you. Great things are happening in the meetings. I have been in ministry for almost 33 years and am refreshed when I see how this Joseph gift in full bloom restores, heals and delivers people. Tears of joy and brokenness flows in the meetings as people realize God cares and knows them by heart. I can honestly say that we see a full blossom of The Holy Spirit’s ability in the meetings as He delivers and sets free. I just returned from Africa and what a joy it is to have seen all my dear friends in Jesus. Let us empower Pastors thousands of miles away from us and let us empower these men and women to plant even more churches in 2013. This is a portion of a new tent just delivered. To God all praise. Many of you are aware that we have blessed the children and staff of this house in the past. Just before Christmas, this place burned to the ground. Here is our dear friend Merle’s report. Let us support and help them rebuild and restore what the enemy tried to steal from them. We are slowly but surely getting back on our feet. The past six weeks has been especially taxing. On December 7 our home burned to the ground. There is absolutely nothing left of it. There was an electrical short which started the fire; I emptied 2 industrial fire extinguishers on the fire to no avail, sustained light burn wounds in the process. Praise God it happened in the morning and not at night, because then we would have lost the lives of all the children, if not our own too. Within 5 minutes of the power ‘tripping’ the entire house was engulfed in flames and thick black smoke from the thatching. The children were all congregated in the lounge area, standing in line to bath. So we could evacuate them quickly. Chloe was in the shower, so she came out with only a towel on her back. We lost absolutely everything we had ever owned and we were not insured, so it was like a double whammy!!!!!!! Two of our dogs also perished in the fire, and to top it off I broke my right hand on Christmas day and had to be operated on 2 January 2013. For 9 days we “squatted” with other people the kids enjoyed the “sleep over” for the 1st couple of days, but then started asking when we are going home. The property will have to be rebuilt which outside of our decision making as we only is rented the building. We found another property to rent in Joostenberg vlakte and moved in there on December 15. It costs R 15 000 ($1650 plus/minus) per month to rent, but was the only property we could find at such short notice and with enough space to accommodate so many people. It is situated on 4 hectare of ground, so much bigger than what we had. It is part of a deceased estate, but there is a long term rental option available. The owner is only considering selling it in about 5 years, so we trust that we will have enough funds available by then to purchase the property. The owner has also agreed that we can make alterations etc., within reason, as long as we get written permission from the Executor of the Estate. We have spent quite a bit of money there already, as we had to fence the property to secure safety. We fitted ceiling fans to most of the rooms, as the asbestos roof gets very hot and as you are aware here is no air condition. What the enemy has meant for our destruction, our God has turned around for good. We were blessed with so much from the public. 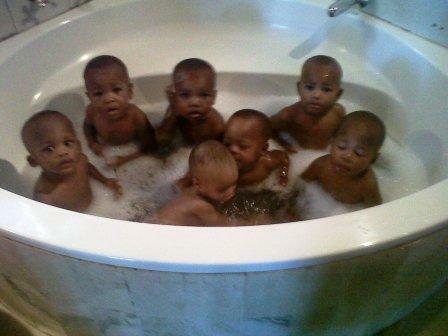 God provided diapers and formula for all the children within an hour of the fire as people came from all over to help. We received a gift of R 3500 ($380) to purchase basic groceries. We were blessed with furniture. Someone gave us 2 fridges. We were also blessed with a new washing machine and God even send people to bring us toys for all the kids to play with. That is how awesome our God is. My mom is a trained trauma counselor and immediately counseled the little ones. They are all doing well. Because all our office equipment and school material burnt down we now trust the Lord to provide so that we can get all our children back on track in their training. We lost our Grade R curriculum in the fire as well, and I simply do not have the funds to replace it all. They have settled in well at a school nearby and really enjoy going. 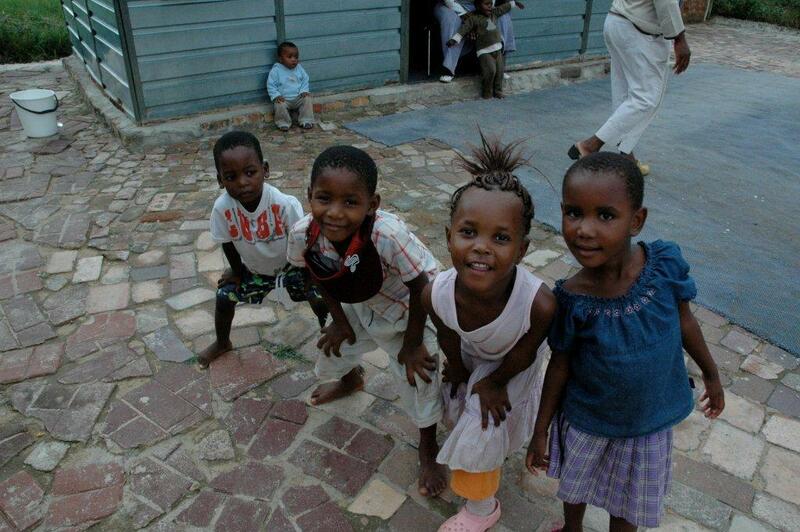 They attend classes until 13h30 every day and then we go home. The older children are still being home schooled and we are in the process of replacing all the books they have lost. We have to do this a bit at a time as it is not cheap. Praise God that they are allowed to continue on with their work (as per the last books I ordered at the end of 2012, and we only received when the schools reopened), and don’t have to repeat the work they had done already. Like a phoenix rise from the ashes, The Rays of Sunshine has risen and we will continue to rise! Well that is the long and the short off what has been happening with us. 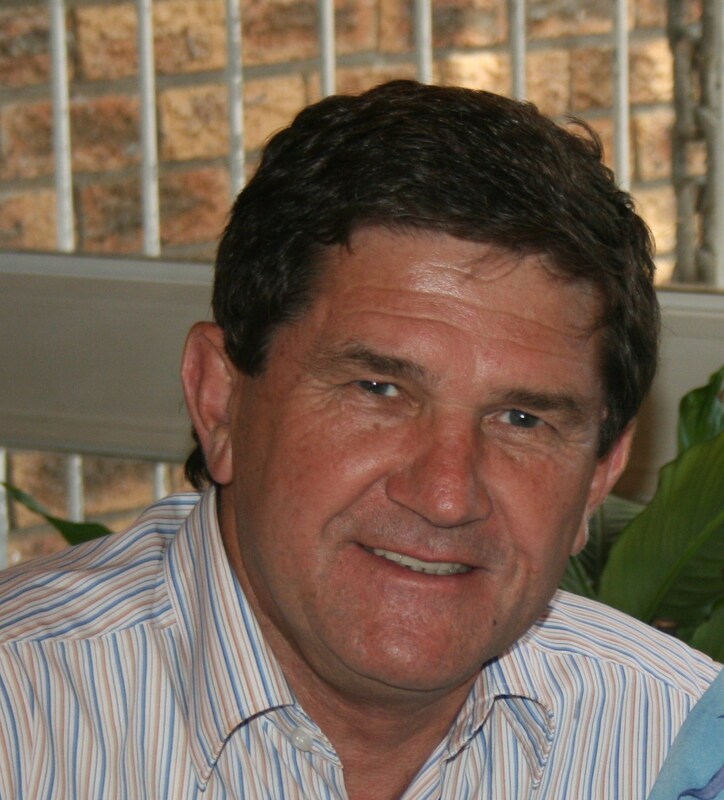 PASTOR FRIKKIE SPIES & PASTOR FRANS HUMAN IN AFRICA ON MY BEHALF – THIS IS THEIR RAPPORT. of precious souls for the Kingdom. We thank you for your prayers. Andre sitting with many African pastors amongst whom he plants most of the tent churches. 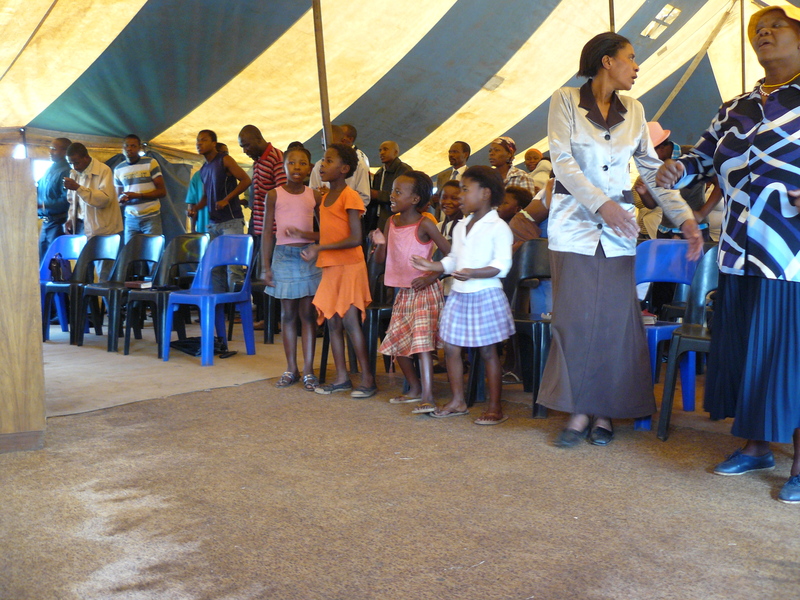 This picture was taken just before Christmas 2012 as they came to hear Pastor Andre ministering to them. God will never leave you or forsake you. He will never send you without power or authority. He will prepare you and will then sustain you and will bring you back stronger than ever. 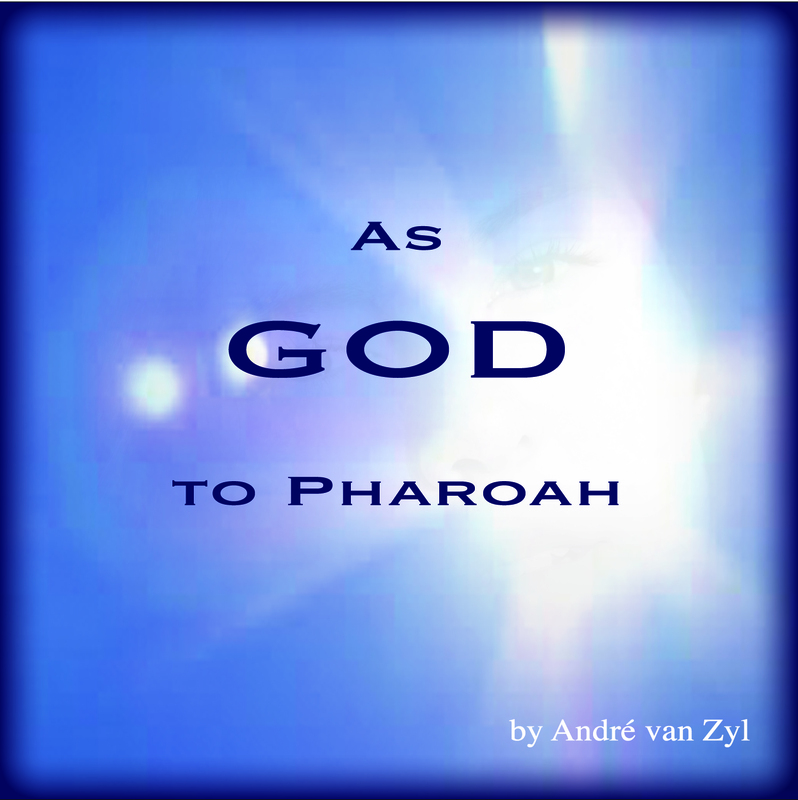 He will make you AS GOD TO PHAROAH. These are the exact words God spoke to Moses and Aaron. Ex:7:1 “See, I will make you as God to Pharaoh”. Powerful. When Moses and Aaron stood before Pharaoh God even multiplied His signs. The enemy cannot multiply anything for multiplication is a God thing. God will empower you and multiply His power in your moment of greatest testing and trial. God did this in Egypt which speaks of the world. Your greatest demonstration of who God is, what He can do, and personal promotion will come in the very place where you feel the most vulnerable. You may think you will lose the battle that seems impossible, but it is in that moment that God will change your face and you will shine forth His countenance and your enemy will think it is God standing in front of them. Rejoice; for when you’re in the fiery furnace, you will notice you have divine companionship. 1 God sends no one away except those who are full of themselves. 2 The best way to teach character is to have it around the house. I need to say goodbye for now. I almost wrote more as I am so burdened for what God is about to do in the years ahead. I love you and pray you will be blessed until I write you next month. Be blessed now, and remember the time is in full bloom for your promise to be fulfilled. Welcome to the year 2013. I pray this will usher in the best year of your life. Thank you for your dear friendship, and what a privilege to breath the fresh air of a new year. Let us believe Him for something extraordinary in 2013. I pray this will be a prosperous year for you and your family. Favor is a sure thing. His Grace and Favor upon our lives are also known in our language as the “KISS OF GOD”. When His Kiss is upon anything we do, it becomes obvious in no uncertain terms. Why will we try to go outside His Will to make things work knowing His Approval is not with us? I know that your desire is in one accord with ours, and that is to do only His Perfect Will in 2013 and to be always aware of His Approval Kiss upon what we do. Let Him kiss us all this year with His Goodness and Kindness. This vision came to Paul in verse 9, but in verse 10, they immediately went to Macedonia to preach the Gospel. Oh how I love the way Paul reacted. He went immediately. This is obedience in action. The power of the Gospel can only be demonstrated if God can find a man or woman that He can see a vision, understand the vision, and then do the vision. The vision must become our mission. The Macedonian call is something that will be a reality in 2013. Will we be obedient, or will we doubt the vision? We need to answer this call as soon as possible. Let us not try to pre-plan or seek another confirmation. Let us walk in such a close relationship with the Holy Spirit that the moment the vision comes, we will act in obedience. Dreams and impressions of the Holy Spirit always have a mission in mind. Our greatest honor is to answer the call. In the book of Isaiah chapter 6 verse one, it teaches us that Isaiah saw the Lord. This came in the form of a vision seen by the eye of the Spirit. In verse eight, Isaiah heard the Lord say these words: “Whom shall I send, and who will go for us?” Us? The “Us” refers to the Trinity, God The Father, and The Son, and The Holy Spirit. Isaiah answered and said: “Here am I! Send me.” A vision from God always entails a mission. Isaiah saw the Lord and now he is on a mission. Paul, in a vision, saw a Macedonian asking for help. Paul answered the call and found himself preaching to the Macedonians. Every intervention of the Holy Spirit in your life has a purpose. It may not send you to faraway places, but it does have a God mission in mind. God may lay on your heart a ministry to support and even that is God trying to reveal His agenda to you. In our/GNN’s ministry we are preaching the Gospel 24/7. GNN’s mission is to the entire United States’ churches and the lost souls beyond that. 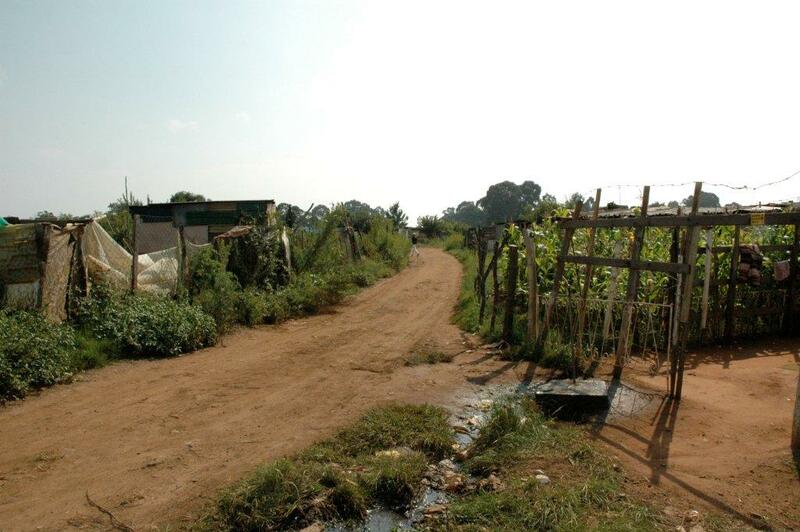 In Africa, it is all about empowering the poor. Jesus stated that the poor will always be with and among us. Having a heart to minister to Africa must be a God thing. Africa can be a very tough place to make things work. It is so easy to only go and minister where it is comfortable, but be assure, when God burdens a person to go and minister in difficult places, He will make it happen. For those who can hear what the Spirit is saying, they will hear a voice. Dedicate your dreams and ears to the Lord. I believe that if we all do that, we will hear and see something by the end of January 2013. You may ask me how you can be so sure Pastor Andre. God is passionate in talking to us as He has so much to share but will we hear His voice? Deep inside you, there is a cry to answer the call. The Macedonian call is a 24/7 call. It never stops. The earth is constantly crying out for help. Let us hear and answer. You may not be able to go where I go, but your partnership with us is because you realize you can answer His Call by giving towards the Macedonian call. Thank you my dear friend for being so sensitive and obedient to the prompting of the Spirit. The call is loud and clear. The call is intense. The call is a non-stop call. When you see eternity through His Eyes, the call will become even louder. Millions are calling for help. Millions are dying, and who will hear that call? We cannot do another seminar or enrichment conference unless we also answer the Macedonian call. Many Christians are so self-focused running from one conference to another conference but not answering the call. The Macedonian call is a call from the world of the lost and hopelessness. The Macedonian call will test your faith. It will challenge your flesh and your comfort zone. To answer the Macedonian call is to accept responsibility. To hear God’s Voice is an honor. 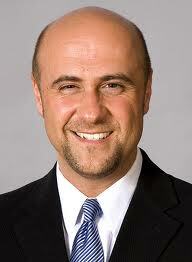 To hear His Voice is to allow you to get insight into how He thinks and how He sees. God loves people, and His Sole Purpose is to share His Burden for humanity with you. Many years ago, a businessman came to me and asked why I am so serious about ministry. This is what he said: “Come on Andre, why don’t you go in business and make lots of money first? 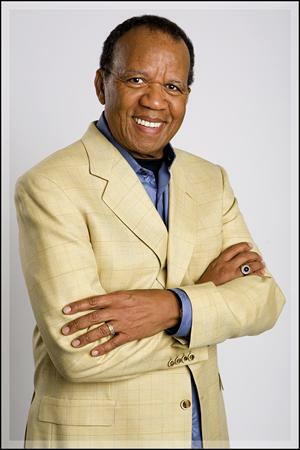 You can work for God later in your life, but first take care of yourself.” This man is a retired man today. He never heard God’s Voice. He never gave to God’s Kingdom and does not serve the Lord. He knows of the Lord as he was brought up in Pentecost but never followed Jesus the Lord. My way of Living and giving 33 years of my life to God in full time ministry still does not make sense to him. Why? I heard that Macedonian call. Once that happens, the wealth of this world can never attract you. Pray that this man will first and foremost hear the call to accept Jesus as Savior and then the voice of millions who needs Jesus as their Lord and Savior. I know His first response will be to give towards the expansion of the Kingdom of Jesus our Lord. Hearing the Macedonian call will change your value system and how you respond to other voices in your life. We cannot all go but when we hear that Macedonian call we can all GIVE AND SUPPORT and be someone who heard that call. This call is so familiar to me. I write to you from Africa. I just visited many of my dear African pastors. Many of them are dear friends who we helped in so many ways in ministry. Many of them will need my help in the next year. Let us keep up the good work and not ignore the call from Africa now. Thank you my dear friend for hearing me all the time. Thank you for being a willing partner who never ignores our monthly newsletter. Let us not divert from what we have started by helping the poor. It will pay off. It will be worth it all. There is no other way to go. There is no other Gospel. This is the way, and this is the voice. We are almost there. Africa shall be saved for many should hear the call and will answer the call. 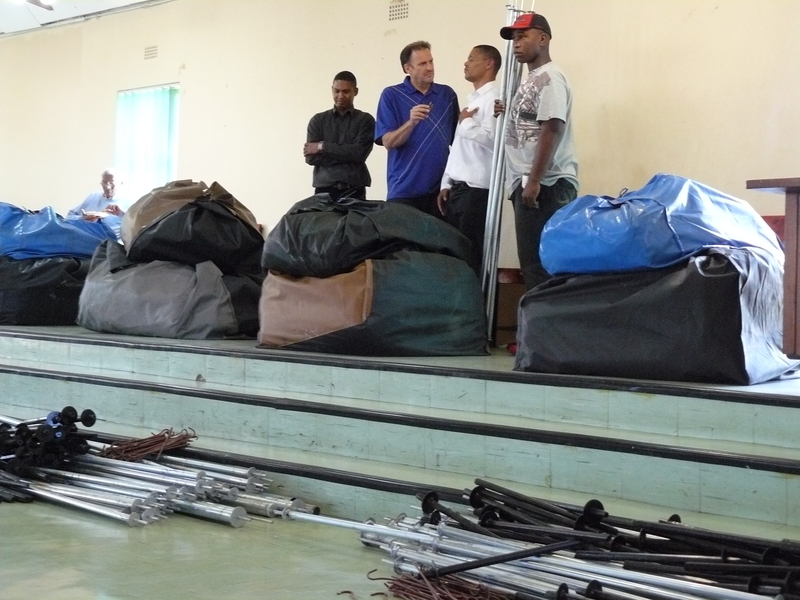 Pastor Andre standing with key pastors who received tents and planted new churches. 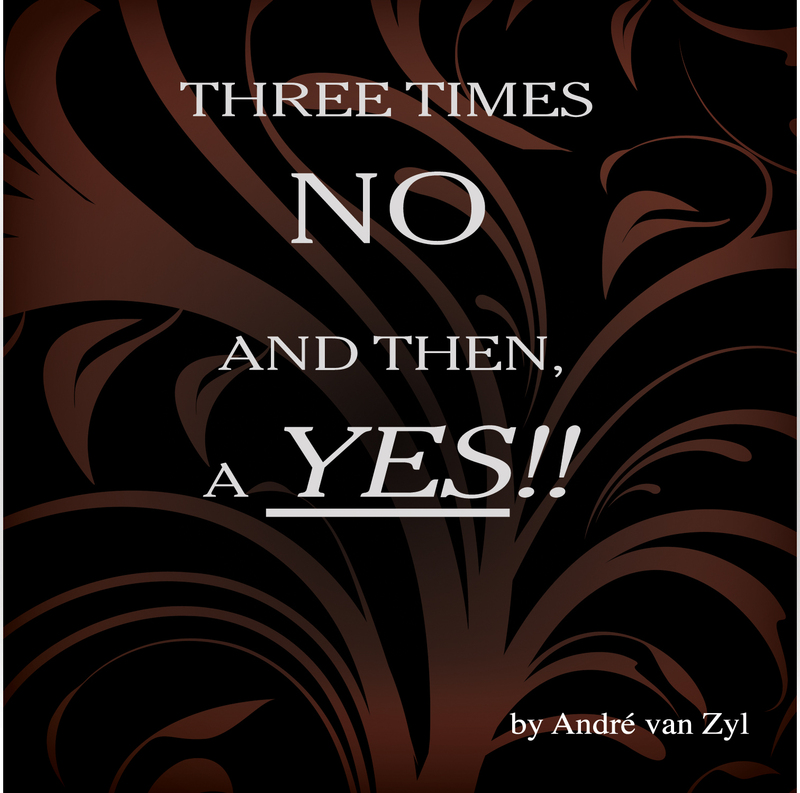 NEW CD- THREE TIMES NO AND THEN, A YES!! Did you hit a wall of discouragement in your life? Were you on the edge of something great just to discover it was all in vain? In John chapter one, they approached John with the hope he will be Christ. Yes, they expected Jesus to appear on the scene but then realize it was John. John told them three times NO, NO, NO. No, I am not the Christ, not Elijah and not a prophet. Although they heard the word no, three times, they were not aware that Christ was already in their territory and about to be revealed. Your seasons of constant NO’S are about to end for what you hoped for is about to happen. There is a major announcement coming your way, and your ears will finally hear what you hoped for. Your healing will come, and your provision will be demonstrated right in front of your eyes. You will hear the word YES in no uncertain terms. I absolutely recommend you get this CD for it will help you realize your miracle at your door. Many of our dear partners had challenging times in 2012. I encourage you to trust again. What is trust? John 13:7 Jesus answered and said to him, “What I am doing you do not understand now, but you will know after this.” To me the highest level of faith is trust especially when I cannot figure out logically what is going on and if God is doing something that is beyond my ability to understand. Can I trust God when I do not understand God? Can I allow Him to do a work in my life that I will not understand till afterwards? My discovery – HE IS TRUSTWORTHY! I saw the Lord. I heard the call, and I will go. Join me and let us answer His Call and make 2013 a year that the enemy will regret, because he is about to lose millions of souls that chooses life and eternity with Jesus. By His grace we are standing strong in our pursuit of the Lord. He is our source of comfort and for Him we live. I know that is your passion to and what a joy to come to you with a word to encourage and strengthen you in your pursuit of the Lord. We all love the Lord and we all follow His voice in our pursuit of what He has in store for us. Joshua and two million Jews had their testing’s and trials and then they realized there is more than just walking in circles for forty years. We all arrive at a place in our lives where we realize we are moving but we are not progressive in what we do. Walking in circles may have you on the move but you are not going anywhere. How do we get out of that thing that keep us going but we never arrive? How sad that we walk and walk but never arrive at a place of destiny and greater purpose. We all seek purpose in life but how do we arrive at that place? To arrive at a place of significance one sometimes need to make changes. Changes will bring you to challenges. Challenges will bring you to obstacles. Obstacles could get you to going back to where you just came from for why will you follow your dream if it entails trouble. God spoke to Joshua and told him to lead God’s people out from walking in circles and get them to the Promised Land He had in mind for them. Yes we all know that story but sometimes we need to have another look at it to learn truth for present day challenges. The Word of God is almost like a mirror that you can hold up at any given time and find a story in there that reflect your current situation. God spoke to Joshua very clear in how they should go about and that they need to follow the ark. The Ark is a type of the Holy Spirit and the command was that they should leave a certain distance between them and the Ark in order to know how and where to follow. Before God revealed the pathway they should follow the Ark. Only The Holy Spirit knows how to get you there. Only The Holy Spirit can lead and direct you and me. Ideas of man could be helpful but unless His Spirit lead and direct us we simply know not. Once God did that He said something that caught my eyes and I have this in my heart for many years. In Joshua 3:4b you will find these words … for you have never passed this way before … Your dream is not always where you want it to be. It could be via a road you have never been on before. Your destiny always entails faith. You have never gone this way before tells me you will have to believe that it is God all the way for you are on a road with no familiar signs. Why can the Lord not do it where I am aware of how it works and what it takes? Faith must be involved and in the familiar you and I need not to use faith for the way is familiar. Faith pleases God and oh how He enjoys it when He sees us running after Him, believing against all odds. I rather believe a God word in the unknown than man’s promises in the known. God’s word is a given. He is the Word. If His word fails He is a failure and needless to ask, have God ever failed? No never. He holds the earth and all the galaxies out there in His hand. Not one single day did the galaxies tumble or go out of line for He balance them, keep it in place and keep our life’s on track. He is your one single reason to never doubt. To enter His perfect plan for our life we need to learn how to exit. We must exit from the old to enter the new. Exit does not mean you failed. To exit from where you were is to know that the time has come to enter the better. The Promised Land was the land of milk and honey but Israel could not take the old with them. Exit from where you are sets you up to enter the new. Exit to enter is something we all need to learn and by doing that we will progressively move with His cloud all the time. 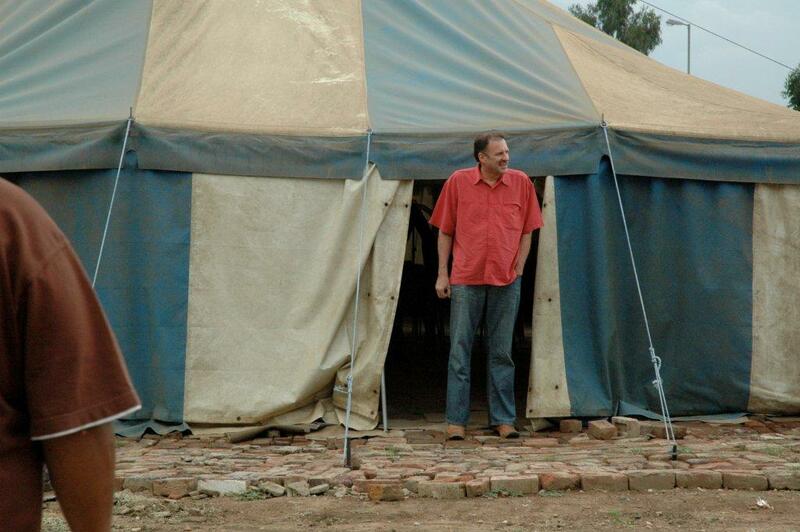 In the next 10 weeks we will plant 15 more tent churches. Africa celebrates. 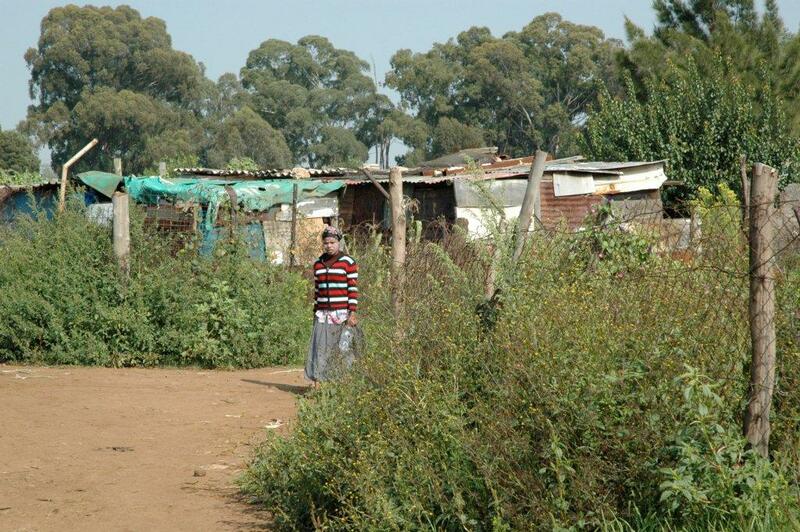 These are dear African pastors who labor under the most difficult circumstances. Let us thank the Lord for our central heating in our modern buildings when these men and women preach this Gospel in these tents. This is where the poor will come to hear His word. The offerings are almost zero so the local pastor who does this need to work a day job himself. 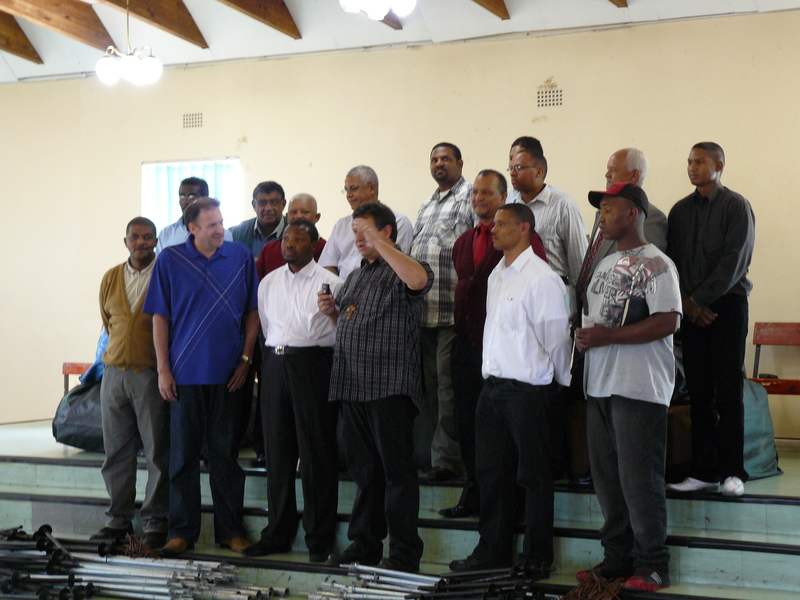 Amongst these 15 pastors we have two women pastors. They also pray for America for they are aware this gift to them came from the USA. Let us rejoice by being able to do this. Who used this strong language? The answer is, God. What made God to swear like this? God gave the reason Himself. “For you have done this thing”. There is a thing that caused God to use these words. We do not find God speaking like this every day. God said “I swear by myself I will bless you”. Amazing. The bottom line truth that made God do this was obedience. Obedience to God is a sacrifice rated extremely high. Abraham became obedient even when God did not make sense in what He asked. We are all obedient as long as we understand why. Not Abraham. He was obedient beyond understanding. God ask Abraham to do something God was against but, it was a test of Abraham’s faith in God. The act was human sacrifice. Abraham was willing to do it and then he triggered God to swear at him. Are you willing to follow God when it does not make sense? If you can answer yes, and do it that will get God’s attention to you. What Abraham thought he will sacrifice, he never gave. It was a test. This CD will encourage you to be faithful no matter what the sacrifice, for in the end it will pay off beyond your wildest dreams.. I highly recommend you to listen to this.